Thread: Buying a car classed as an import? I am looking at buying a car. It is a Mercedes E class and is 2 year old. It is classed as an import when you do the HPI but wanted to know if anyone had experience buying imports. Apparently the guy is in the forces and was able to buy it through them when station abroad. It has since been registered in the UK. Does this mean I would class as import on insurance? It was bought from a UK dealer and has since been registered in the UK. Anyone with experience of this would appreciate your feedback. Last edited by hilly10; 17th April 2019 at 06:57. The one thing you will need absolute proof of is that the original owner has paid the VAT on the car. Otherwise, it will fall to the new owner. I have done this in the past. Technically it is only an import for duty purposes as was purchased tax free. It will be full UK spec, just first registered in the UK sometime after purchase. Check the spec on the docs. Shouldn't need to declare anything special. I still own one of mine 27 years later. Never had a problem with insurance and indeed any claims on insurance. Insurance companies work in a way to try and mitigate their losses, that’s how they make money. If you choose not to tell them that the car has been registered overseas and then imported, they may be well within their rights to refuse a payout based on you withholding material fact (of course if they were recouping their loss from a 3rd party they would no doubt overlook this) and ignorance is no defence in the eyes of the law, the onus is on you. VAT should have been paid on the car when it was registered in the UK. PS over 15 years in the motortrade for me, ironically working for Merc for nearly 3 and a half years, we tend to not accept imports in P/X unless it’s something for stock, EG an AMG product or a G class. Last edited by RJM25R; 17th April 2019 at 08:36. Sounds just like a ploy for insurers to unnecessarily charge higher premiums TBH. Why is it a ‘material fact’ that a UK spec car was bought abroad? Because it affects the resale value? Maybe it does, but no reason for it - just the consumer being told that they're worth less (RJM25R's company not buying them etc) so they are. Been similar threads on here about 'foreign' watches. Years ago grey imports of RHD cars (from NL etc) were quite common. Was there ever an issue with those? It's been a while since I have dealt with BFG cars but it wouldn't be considered an import- If the car originated from the UK and used under the BFG scheme then it is classed as a UK non import vehicle for insurance purposes- No VAT would be liable if it has been out of the UK for the set BFG period and has been de-registered from the scheme and re-registered, no VAT liable was the incentive/discount offered with this scheme. Not the same as say buying a car from Jersey where the VAT has not been paid and trying to bring it back into the UK. Last edited by Rob153; 17th April 2019 at 10:28. It’s all about consumers buying them. They expect them to be cheaper because they possibly won’t have any full history. Also, the car could be damaged/repaired and it won’t show up on any HPI. OP ask to see the reg document. See what it says in Section 3. See what it says on the HPI. I bought a car tax-free when stationed in Germany and subsequently brought it back to the UK. It was supplied by a UK-based dealer and full UK spec, UK dealers used to come over and park outside the NAAFI to sell to squaddies. The only restrictions were, I had to keep it for one or two years (can't remember which) after import to avoid having to pay import duties. In 1970, a BMW 1600 cost £760 tax-free and if you were so inclined, you could have bought a Cessna single engined plane for £1600. I've actually been in the Motor Trade for over 20 Years, I've imported numerous vehicles from all over the world using the Nova scheme- BFG cars are tax free cars offered to the armed forces. If you buy a vehicle from Northern Ireland it'll sometimes come up 'previously used abroad etc...' doesn't mean it's classed as an import. Not the same as a grey import, prime example the bigger trade sale sites used to bring them in from Cyprus and Republic of Ireland so classed as none UK spec imports,missing alarms so forth. If you get a insurance advisor that doesn't know about the scheme/process then they might jump to the conclusion that it is a import. Last edited by Rob153; 17th April 2019 at 11:24. It's been a very good scheme over the years and provides a good benefit for the armed forces- Quite a few countries offer it, couple of friends work in Kuwait offering a similar tax saving to the US forces stationed there. I've actually been in the Motor Trade for over 20 Years, I've imported numerous vehicles from all over the world using the Nova scheme- BFG cars are tax free cars offered to the armed forces. If you buy a vehicle from Northern Ireland it'll sometimes come up 'previously used abroad etc...' doesn't mean it's classed as an import. If it’s on the HPI register as “import” and it’s on the V5c as “import” then to anyone buying, selling or insuring it, it’s an import. We can argue technicalities and intricacies about until we are blue in the face, but the car will still be classed as an import. Of course Grey imports a completely different kettle of fish. Rules may of changed but I have dealt in hundreds of prestige BFG cars and they were never classed as imports by Insurance companies. The whole point of the scheme is to be a benefit to the armed forces, if they were penalized when coming back to the UK, classed as an import, higher premiums etc.... wouldn't really be on would it? **Edit I've just spoken to a contact I have in one of the major brokers, they wouldn't add anything cost wise to the premium, it would just be noted that it was an ex BFG vehicle. Last edited by Rob153; 17th April 2019 at 13:19. 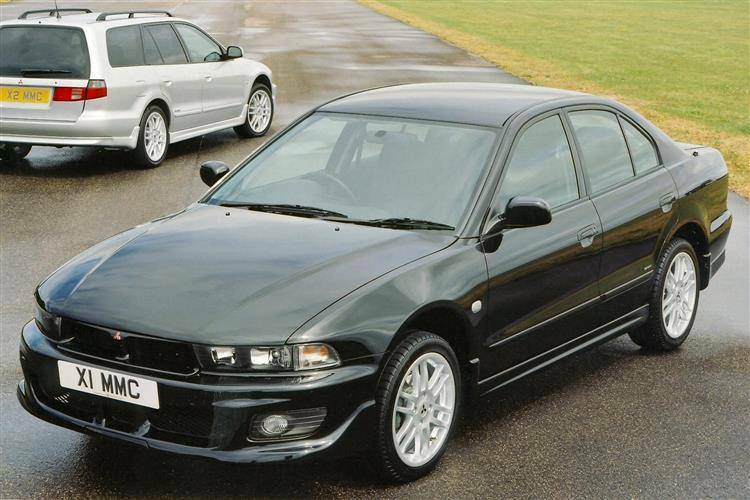 Never had an issue, that's how I bought my Mitsubishi Galant V6. 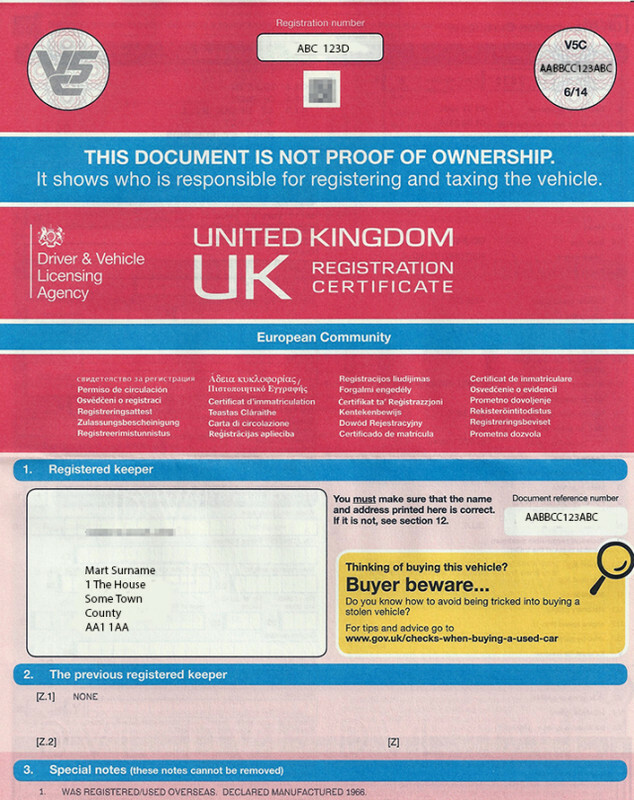 It was a 18 month old forces car (based in Germany) UK spec, shipped back to the UK, sold through the dealership as used approved registered in the UK. The advantage was the car became a year "younger" I got a 6,000 mile run-in fast saloon for half price. With full service plan, warranty, insurance wasn't an issue either. Great car in its day. You say in the first quote that it would not be classed as an import. I say it is classed as an import, as evidenced on the HPI and the V5c. I can only go on experience with dealing with BFG cars in my career -They are classed as UK non import vehicles for insurance purposes as I stated. As we know Insurance companies will differentiate depending on where it was imported from, Japanese, Cyprus, USA, full UK spec etc..... Majority of Dealer groups will buy BFG cars but will not buy Grey imports so nothing wrong with UK spec supplied cars. HPI, V5 may show the car as an Import buy in the eyes of the insurance companies they are not. Some really good information here but not really any clearer. The guy has been quite helpful who I have been dealing with and quite honest that he has struggled to sell the car because of the fact it flags as an import on the HPI check. The re sale doesnt bother me too much. I will have the car for a long time and rather have the saving upfront. I am happy with the price and the spec is no different to the UK and is RHD, it was delivered by a UK and dealer and had its first service in the UK. The main issue is if I fill in the details for insurance and tick the import box the price pa goes up £250. Seems ridiculous for what is a car delivered by a UK dealer and then registered abroad for someone in the forces. Equally, I wouldnt want to not note this when doing the insurances if it is a loop hole they could use to get out of paying it. Apparently the V5 doesnt show import but as mentioned it flags on HPI check. BFG cars should not show up as imports. That DVLA docs record a different manufacturing year to registration in the UK year. Insurers ask for the year of manufacture in my experience. My cars were all exported from the UK for delivery in Germany and subsequently imported. Never any issues insuring or selling/ trading in in the UK. Nest way for the op to be sure is to get an insurance quote, clearly stating all the details. I'd be surprised if there was any difficult or any loading of the policy. I never mentioned loading because every broker and insurance company is different and has their own idea about risk, or there wouldn’t be such a span between quotes. My points were about non-disclosure if material facts, which an insurance company could use to mitigate or invalidate a claim. Anybody who thinks insurers won’t use any tools at their disposal to reduce the payout value of any claim of their liability (import or otherwise) is IMHO being extremely naive. Last edited by RJM25R; 18th April 2019 at 08:32. I bought a Mercedes E320 cdi Avantgard Estate in 2000 from the MB main dealer in Sheffield so it’s a while ago,saved about £8K off List Price as it was about 6 months old and re-imported ,it was classed as an import,the insurance wasn’t a problem but when I came to trade it in 5 years later most dealers wouldn’t touch it,ended up selling it for about £5K.